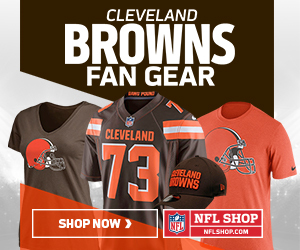 With only a few days to go before we get to see our new and improved Cleveland Browns take to the field for the start of the 2018 NFL preseason, the team’s website has released their unofficial depth chart for the game to be played at MetLife Stadium. The game kicks off at 7pm EST, so that’s midnight on Thursday for us UK fans. This is an unofficial depth chart but is probably what will happen depending on training tweaks and injuries. As it’s the kickoff to the preseason only it’s pretty obvious that this depth chart will change a lot before the start of the regular season. We can still glean trends and what’s likely to happen come regular season, though, from this and future preseason depth charts. I recently posted about the change to the offensive line on the left side now that Joe Thomas has retired and it looks like we could get our first glimpse at the possible future as Joel Bitonio and Austin Corbett look to start at LT and LG, respectively. This is something I’m desperate to see work as I feel it’s key to how well the Browns do during the 2018 season. Another thing of note from this depth chart and something that will continue through the preseason is the lack of Josh Gordon from the lineup. I’m not sure completely why he’s not at camp, as nobody outside the organisation is, but I just hope it’s a mature decision made by himself and the team to keep him away from the Hard Knocks questions about his past that would be constantly asked. With the lack of Gordon from the team during preseason means we will get to see Corey Coleman who, for me, has been a disappointment since entering the league with the Browns as the 15th overall pick of the 2016 NFL draft. This is a make-or-break season for Coleman and the coaching staff and front office will want to get as good a look at him as possible right from the off. Apart from the new look left side of the offensive line we also see Spencer Drango start at right guard instead of Kevin Zeitler after the latter left training early on Wednesday due to an injury. As I’ve stated in previous posts, I’m happy with Drango at guard as I believe he is good there and just hope the team have come to the same conclusion after a disappointing period during the 2017 season trying to fill in at left tackle after Joe Thomas went out injured. As I look down the defensive depth chart my first surprise is that Larry Ogunjobi isn’t starting at DT. He’s a guy I really liked the pick of in the third round of the 2017 NFL draft and was impressed with during the season in the middle of that defensive line. I still think he’ll start come the regular season and this is a move to see who should start alongside him. I’d like to see Caleb Brantley step up and become a steal from the 2017 draft but he’ll have to beat out Trevon Coley and Jamie Meder first. I wouldn’t be surprised if it’s one of those two who starts alongside Ogunjobi this year. As far as the linebackers go all seems normal at the weak and strong sides but, perhaps, a surprise in the middle? New high profile signing Mychal Kendricks is #2 at the MLB spot behind last year’s starter and Pro Bowler Joe Schobert. I can’t imagine Schobert will start the regular season ahead of Kendricks but this is the right thing to do seeing how well Schobert performed last year. Rookie 5th rounder Genard Avery is starting at #2 on the roster behind Christian Kirksey on the weakside and I’m really looking forward to seeing him play. I get a feeling he’s going to be good. Safeties are as they should be and I can’t wait to see Jabrill Peppers playing more aggressively closer to the action and the line of scrimmage. It’ll be like we’re finally going to get to see what he was drafted so highly to do. I’m a little surprised that Denzel Ward and Terrance Mitchell are starting at cornerback as I expected E.J. Gaines and T.J. Currie would be given first shot as starters. There’s no denying I’m the same as all the other Cleveland Browns fans out there, though, and am looking forward to seeing our new shutdown corner, Denzel Ward, do his thing. No need to look too much into this lineup as it is very early doors and is all about the coaches getting to see what they have in a more competitive environment to training camp. Although I slated the pick in this years draft, I must admit that I’m intrigued to see what we have in WR Antonio Callaway. He’s definitely the type of person/player who I’d put in the “boom or bust” category and I just hope we get the “boom” part of it and a steal from the 4th round.